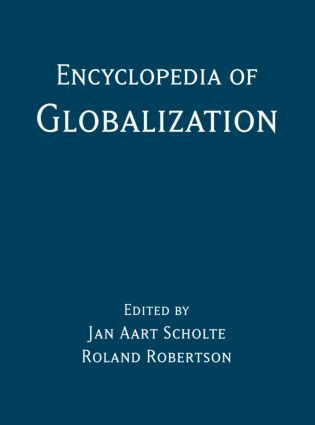 The Encyclopedia of Globalization provides a thorough understanding of the theoretical underpinnings of globalization as well as the various historical and analytical interpretations. Consisting of over 400 entries, coverage includes key cultural, ecological, economic, geographical, historical, political, psychological and social aspects of globalization. Entries in the Encyclopedia vary in length from 500 to 3500 words, depending on the scope of the topic and its relative prominence in studies and politics of globalization. All entries provide bibliographical references for further reading and research. From the advances in nanotechnology to the controversies surrounding humanitarian intervention, the Encyclopedia of Globalization is a key inter-disciplinary resource to all aspects of globalization. Compiled by a cross-disciplinary editorial team of leading academics on the subject this essential reference work will appeal to students, scholars, researchers, and the general reader interested in the many facets of globalization.